Campus interviews are an excellent way to maximize recruiting resources and time. Successful campus interviews require considerable advance planning and careful attention to detail. Company representatives work with sector managers to choose the number of interviews conducted, the format of the interviews, and the amount of time allotted for interviews. Successful recruiting companies take a strategic approach to their first-round interviews on campus, host second-round or on-site interviews, and extend employment offers. Fuqua's sector managers work with employers to strategize the best timing for interviews, taking into account each company's hiring calendar, other recruiting events, and business needs. Interviews with candidates for full-time jobs are traditionally conducted in the fall, beginning in October, and interviews with candidates for internships traditionally begin in January. During peak times, typically the first two weeks of interviews, we host companies for campus interviews Monday through Friday. All other times, interviews are conducted Monday through Wednesday according to this year's recruiting calendar. If a company's recruiting schedule does not align with our recruiting calendar, recruiters are encouraged to work with sector managers to identify a date that is mutually agreeable. Campus interviews can continue for both full-time and intern positions throughout the spring semester with the exception of academic breaks and final exams. Interviews are scheduled through Recruit@Duke, Fuqua's online recruiter resource. Sector managers are also available to assist recruiters throughout the registration process. Interviews can be 30, 45, or 60 minutes in duration. All schedules include two 15-minute breaks and an hour lunch. Employers work with sector managers to customize interview schedules when necessary. If more than one representative is needed to interview each candidate, rotating schedules may also be created. Additional rooms for greeting students in advance of the interview are available as space allows. Sector managers can provide more details. Students use job descriptions provided by employers to make decisions about positions for which they wish to interview. Therefore, if changes to job descriptions are necessary, updates must be made in Recruit@Duke at least 12 weeks before interviews take place. Employers may choose the number of interview slots reserved for preselected candidates. These lists are referred to as "closed" or invitation lists. We recommend that recruiters designate at least a fourth of the interview slots for students who wish to bid on interview opportunities. Students not included on closed lists may express interest in interviewing for a position by "bidding" to win a space on the schedule. Approximately three weeks before interviews, recruiters will be able to review resumes of interested students. Recruiters will have one week to review submitted resumes and select candidates for their closed lists, including three alternates per interview schedule. According to The Fuqua CMC Recruiting Policies, if the CMC does not receive the closed list or an update from the recruiting partner by the due date, the sector manager may reschedule the company's campus interview for the next available date to allow the extra time needed to decide on closed list candidates. The resumes of working professional MBA students will be included with those of Daytime MBA students for full-time MBA opportunities. Many recruiting companies host social gatherings the night before their interviews. While the Career Management Center does not coordinate these events, guidance can be provided if there might be conflicts for students. 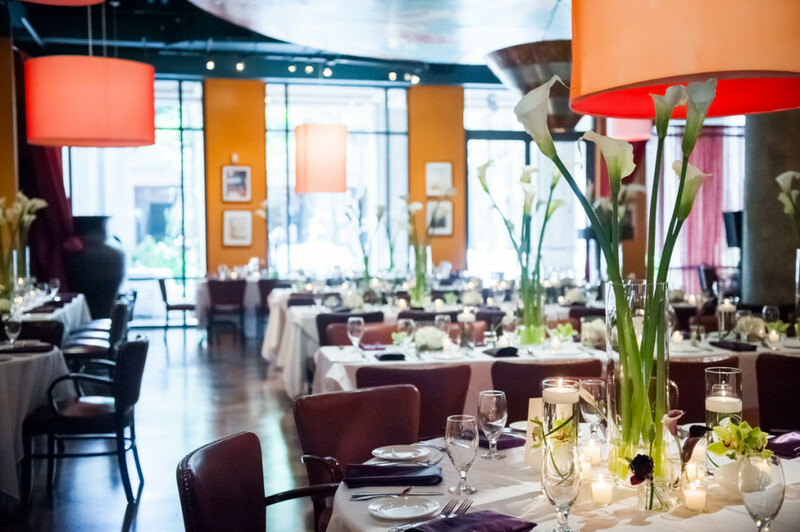 Review our list of restaurants for venue suggestions. Employer interview schedules are available through Recruit@Duke on the Wednesday one week prior to the interview week. Each schedule should be be reviewed carefully and if there are any questions or concerns, recruiters should contact their sector manager. To prevent major scheduling conflicts, it is necessary to contact a sector manager before making any changes to interview candidates or times. Campus interviews are conducted at Duke's Fuqua School of Business in specially designated interview rooms on the fourth floor of the Career Management Center, in Keller Center East. During peak times, some interviews will be held on the second floor of Keller Center East in the student team rooms. If company representatives are not able to conduct interviews on-site at Fuqua, it is possible to conduct them by telephone or videoconference. Some companies choose to hold their interviews at other facilities in the Raleigh/Durham area. Sector managers can provide information regarding alternate off-campus locations or employers can consult our list of local hotels. Companies that interview off campus are required to adhere to our recruiting policies. Upon arriving on the fourth floor of the Career Management Center in Keller Center East, you will be greeted by staff who will ask you for 2 business cards. You will be provided with your interview schedule, copies of student resumes, and additional information about recruiting at Fuqua; after which you will be shown to one of our interview rooms, each of which is equipped with a telephone and Internet connectivity. Snacks are provided throughout the day in our recruiters' lounge. A Career Management Center staff member will be available all day to answer any questions or provide assistance as needed. Second-round interviews can be held at Fuqua according to available space and time. It is the employer's responsibility to contact and invite students to second-round interviews. Recruiters should provide their sector manager with the dates of on-site callback interviews or sell events so information can be shared with students. Durham has many fantastic restaurants to choose from.